Teamwork, perseverance, competition, and appreciation of nature is what this is. The first time I'd heard about rogaining was a couple of weeks ago on the radio. As I'd never even heard of it before, I was curious and it took me a few minutes to figure out the actual spelling of it. I searched for road gaining which turned up with results such as 'road trip without gaining weight', road gaming came up with 'gaming on the road', rogaine came up with 'hair loss and hair regrowth treatment', and finally, I typed in rogaining. Voilà! Then I thought to myself, what a great Father's Day experience! 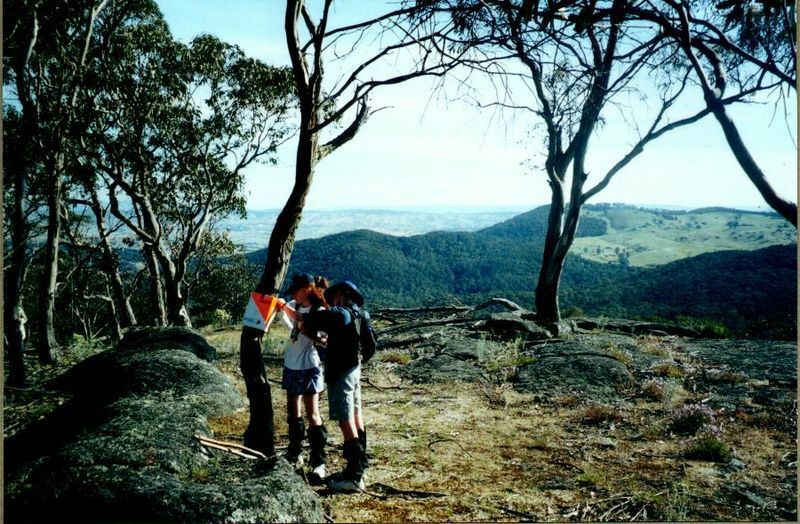 Rogaining is a long distance cross-country navigation sport held on foot. The fact that it's done in teams of 2-5 people means that the whole family can do it, making it an unforgettable Father's Day experience. Comprising route planning and navigation and visiting as many checkpoints as you can in a specified time, classic rogaines are 24 hours long, though there are also 6, 8 and 12 hour rogaines. The most awesome thing about rogaining is that it is suitable for people of all ages and fitness levels. So why not take advantage of the great outdoors, soak up some sunshine, and enjoy the stunning landscape all the while spending quality time with your Dad? Rogaine not really your thing? There are metrogaines for suburbanites and metropolitans, mini rogaines for people testing the water, cyclegaines for cycling fanatics, adventuregaines for those seeking a thrilling experience of various disciplines such as kayaking, mountain biking and trekking, and canoegaines for canoeing lovers. So no matter you preference, I'm sure there is a 'gaine' for you! Interested? Check out Queensland Rogaine Association and Adventure Race for their list of events. If your Dad loves the outdoors, then this is an outstanding way to add excitement, socialisation, and a bit of competition to a good old bushwalk. I've not climbed many mountains in my life, but I will share my recent mountain climbing expedition to the top of Mt Cooroora, aka the King of the Mountain. Being a 438m high volcanic mountain, it is no Mt Everest, but let me tell you, climbing the steep rock face got us huffing and puffing, gave us jelly legs and had our faces turn red with sweat dripping off them. Approximately 166km from Brisbane, Mt Cooroora is located in the peaceful town of Pomona. The climb up and down is 3km and took us around 90 minutes and there are chains to help you get up and down. Pack a snack to enjoy at the top and take your time in admiring the magnificent views. To top things off, have a stellar BBQ at Mt Cooroora Park located near the entrance of the trail and have a kick. Sounds like the perfect day to me. 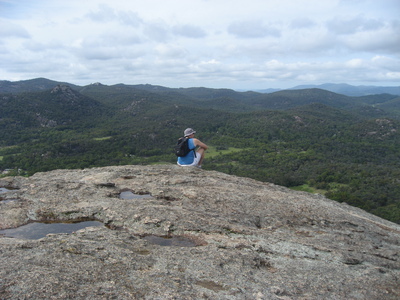 Another great climb that I'd highly recommend is Bald Rock, the largest granite rock in Australia, located just north of Tenterfield in Bald Rock National Park. The rock itself is 200 metres high, 700 metres long and 500 metres wide. Unlike Mt Cooroora, there is no chain to help you up which can make this experience quite terrifying at times. It took me two attempts to climb this enormous rock, but the reward at the top was absolutely incredible. For more information about Bald Rock National Park, see their website. Just remember, no chain doesn't mean no gain.